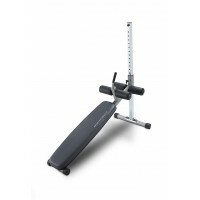 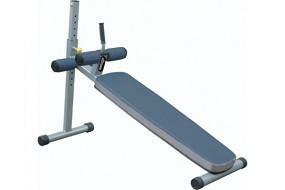 The Bodycraft CF602G FID Bench is the easiest to adjust utility bench. 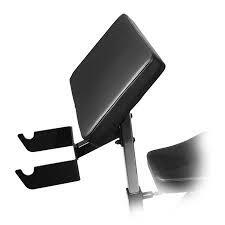 Simply lift the back pad and the “ladder catch” system falls into the desired placement. 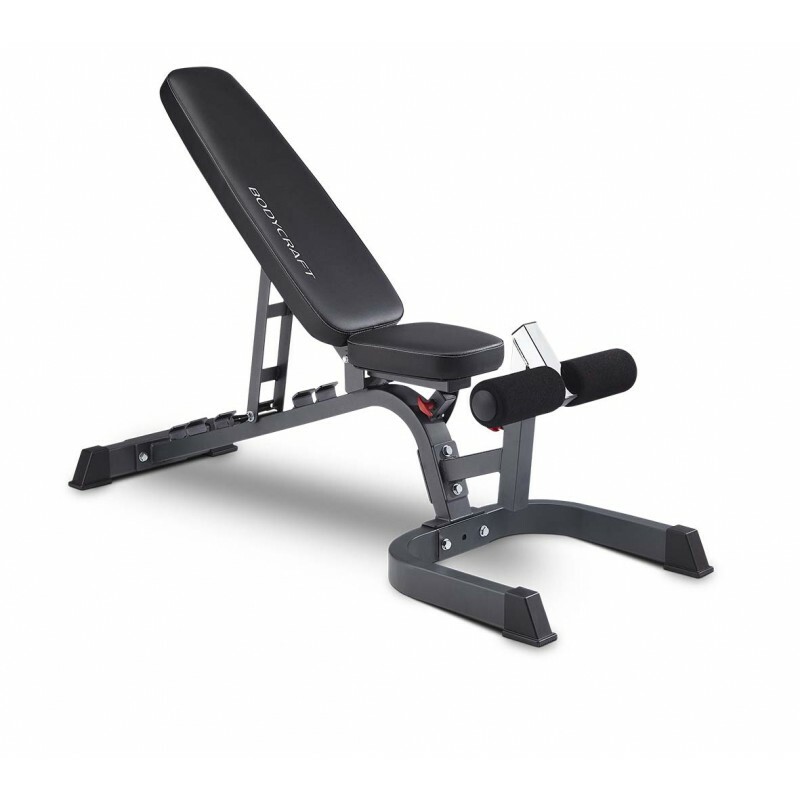 Seven different positions that range from decline to shoulder press with 3 seat adjustments. 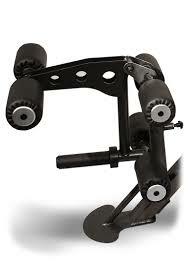 Accepts attachments CF610 Arm Curl and C611 Leg Extension / Curl.